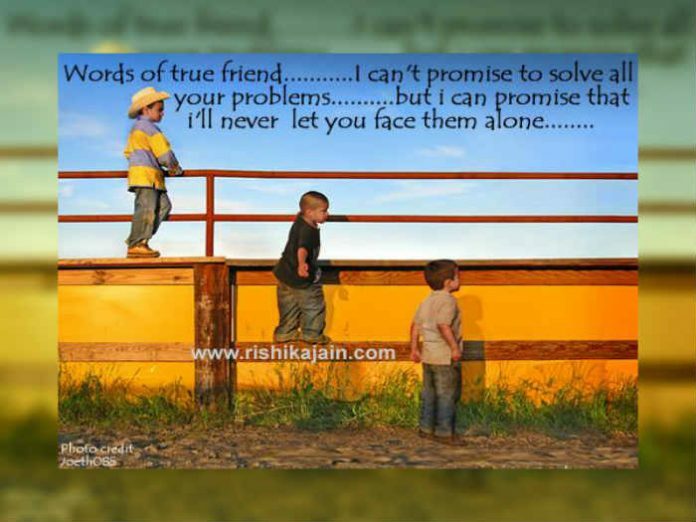 Words of a True Friend ….. 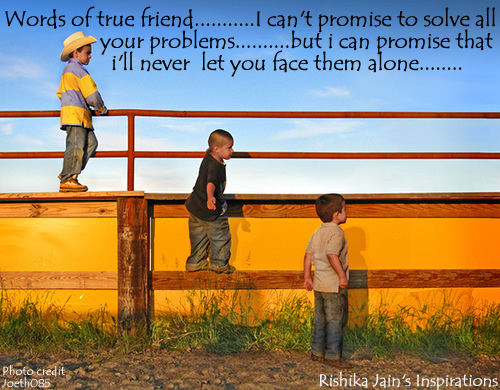 Words of true friend: I can’t promise to solve all your problems; but i can promise that i’ll never let you face them alone…….. 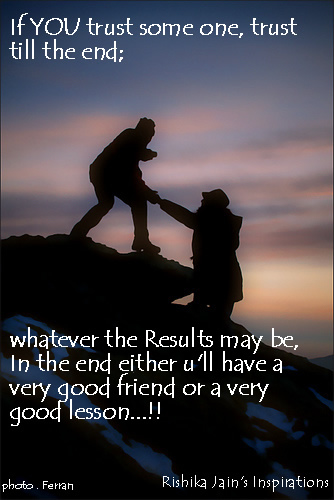 Friendship - Inspirational Picture and Motivational Quote. If you trust someone, trust till the very end ….. whatever the results maybe … In the end you will have a very good friend or a very good lesson !!!! Friendship/Trust – Inspirational Pictures and Motivational Quotes. 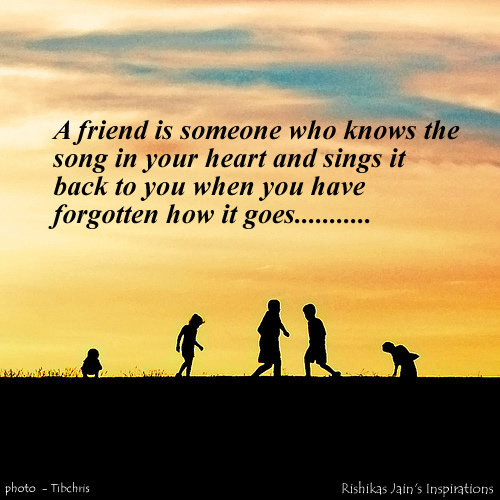 A friend is someone who knows the song in your heart and sings it back to you when you have forgotten how it goes. Friendship – Inspirational Quotes, Pictures and Motivational Thoughts.